* Pieces such as Debussy's Reverie and Clair de lune have held universal appeal. * They are beautiful, enduring classics with memorable melodies, textures and harmonies---much like so many timeless Christmas carols. 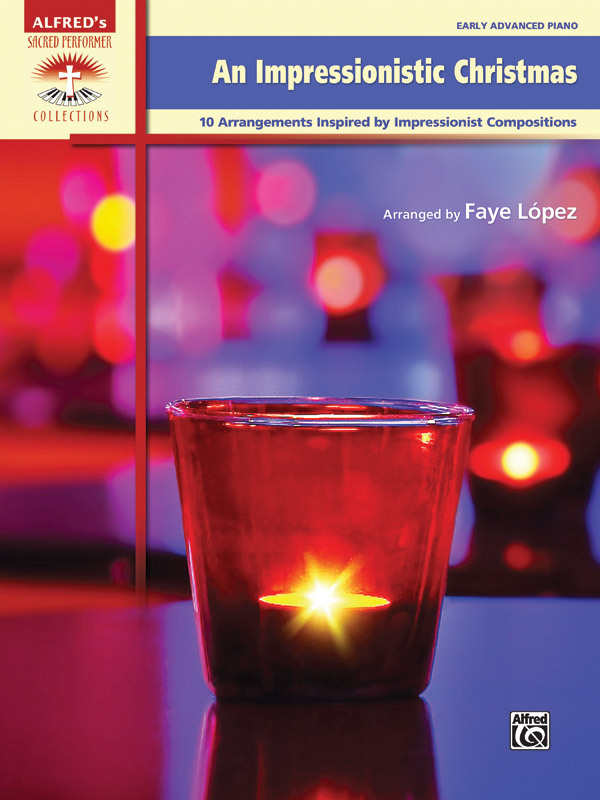 * This collection offers arrangements of many beloved carols, inspired by treasured Impressionist compositions. * Titles: Away in a Manger (Inspired by Clair de lune), Go, Tell It on the Mountain (Inspired by Le petit nègre), Good Christian Men, Rejoice (Inspired by First Arabesque), Hark! The Herald Angels Sing (Inspired by La cathédrale engloutie), Infant Holy, Infant Lowly (Inspired by Reflets dans l'eau), Lo, How a Rose E'er Blooming (Inspired by La fille aux cheveus de lin), O Come, All Ye Faithful (Inspired by Reverie), O Come, O Come, Emmanuel (Inspired by Jardins sous la pluie), O Holy Night (Inspired by Doctor Gradus ad Parnassum), While Shepherds Watched Their Flocks (Inspired by The Little Shepherd).